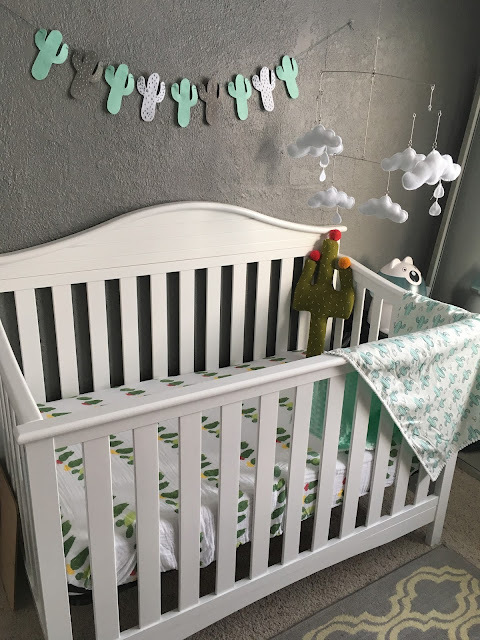 When we were planning baby's nursery, we didn't know what we were expecting, so we went with a gender neutral theme, and cactus fit the bill perfectly. Green is a traditional color for surprise babies, and I love mint green, so it worked perfectly. I made the garland- love how it turned out!! It is just felt and embroidery thread from Hobby Lobby. 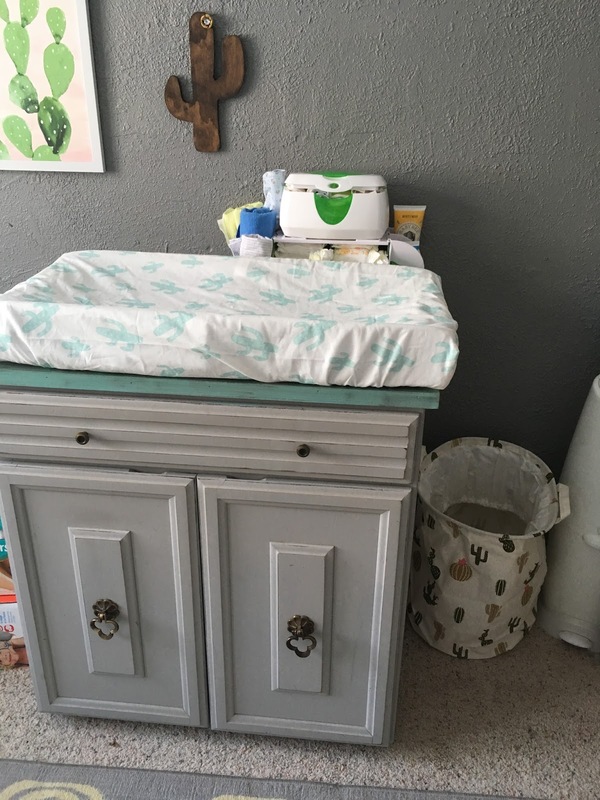 The crib is such an important feature piece in a baby room. I love the crib we chose. I didn't want to spend a crazy amount of money, but I knew I wanted white, and I didn't want it to be the same height on both sides... that just looks like a baby jail you know?! Mobile: Mine is HERE more cute options below! 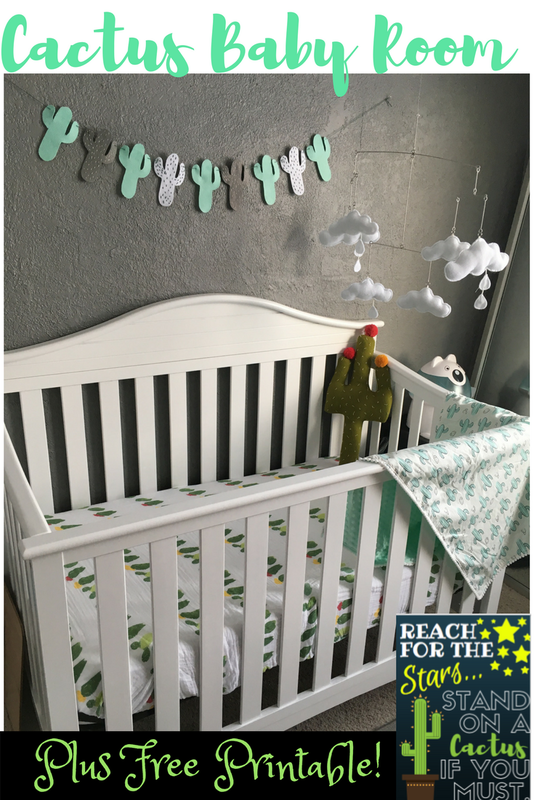 I love this cactus blanket. It's the perfect size for cuddling with baby and for putting in a car seat. 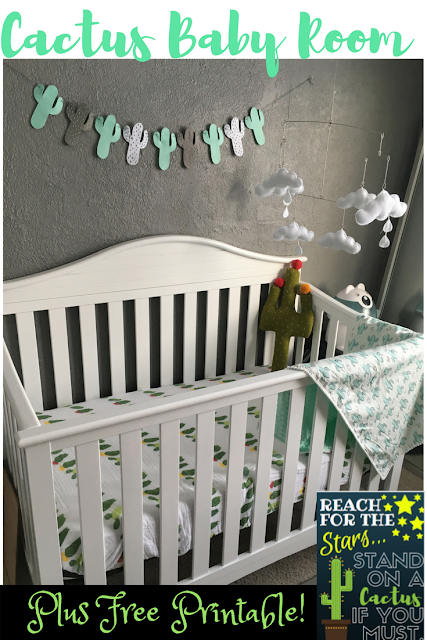 The mint green minky fabric is so soft, and I like the cactus side as well. The pom-pom finish is just the icing on the cake! Or buy on Amazon if you're all about that prime! 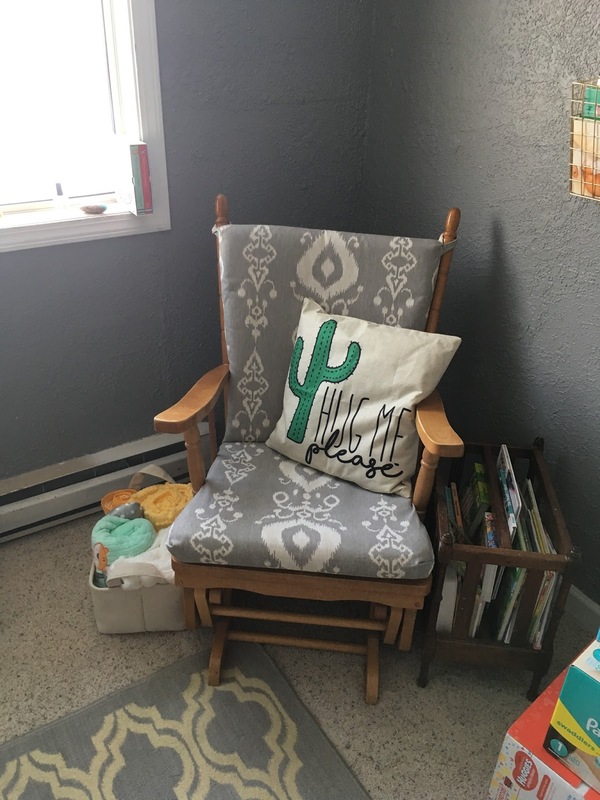 Adding some cute throw pillows is a fun and cheap way to keep the theme! My sister-in-law and I reupholstered this chair into this grey beauty from a red velvet. I love how it turned out. I got some great cactus decor from amazon including this changing pad cover and hamper. I had great luck there more so than in stores. Cactus is becoming more popular, but I started this over a year ago. The middle one matches the above blanket and sheet set!! 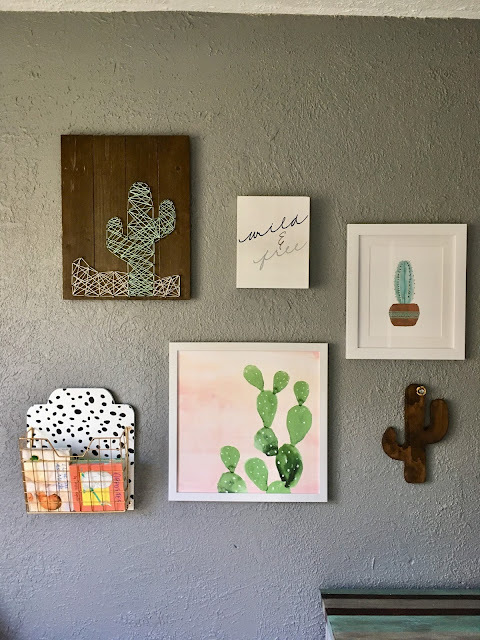 A gallery wall in your chosen theme is a must! (Although I wouldn't suggest one over a crib for obvious reasons.) Here are some fun cactus prints to look at below. 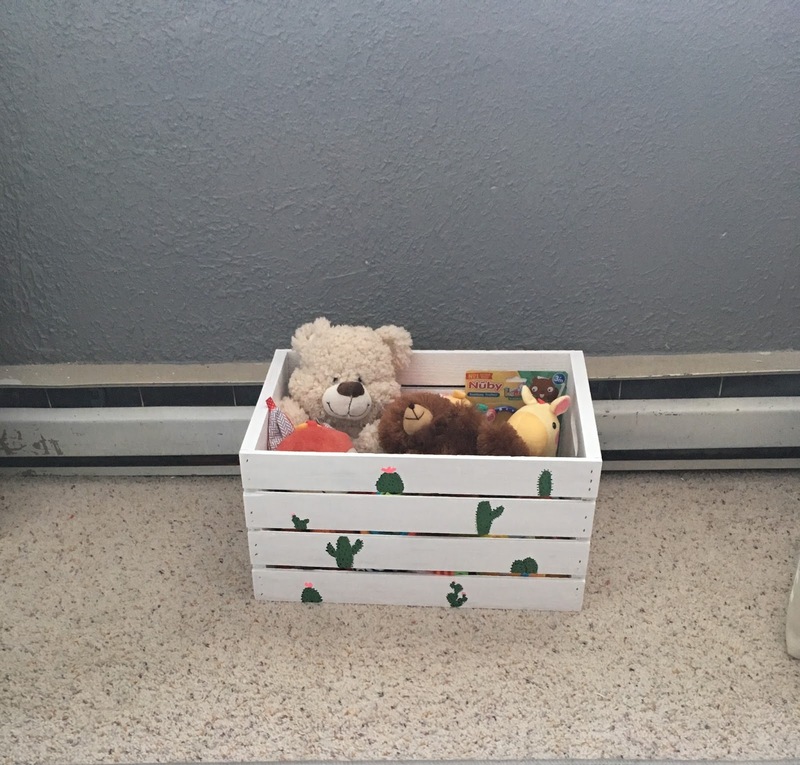 The toy box was an inexpensive DIY. I simply bought a crate like the one below and sanded and painted it. 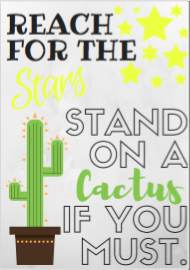 I googled some images of cacti to decorate it, and voila. 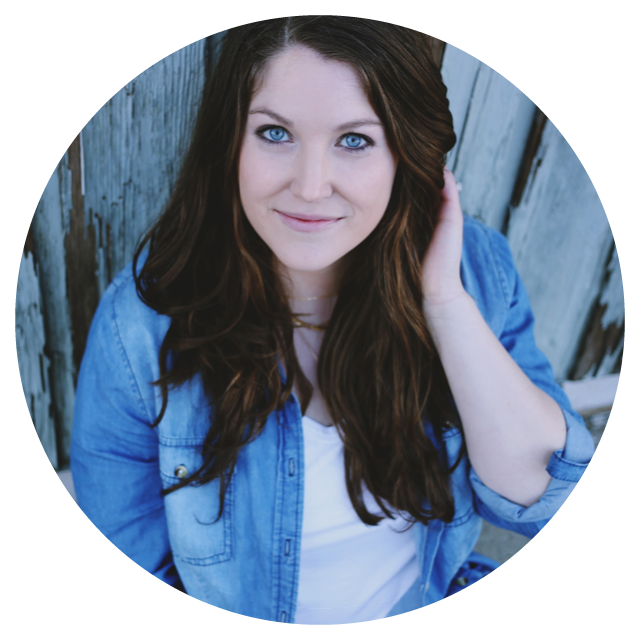 Last but not least- a free printable for you! I made these great little posters in 2 color options. 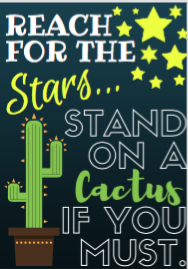 I love the quote - "Reach for the Stars- Stand on a Cactus if you Must" Its an awesome reminder that greatness doesn't come easily! Click on your preferred color to open the full PDF to download and print. Enjoy! Thanks for readingt! 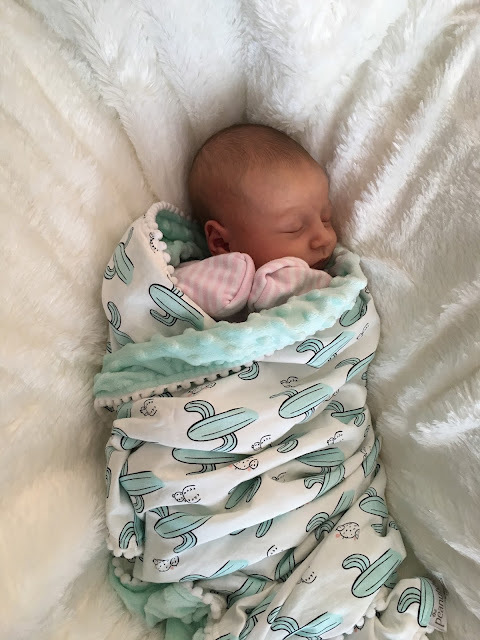 Hope it helps you on your baby journey!